what else? 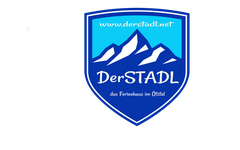 - derstadl Webseite! The house has a famous positioning betwen Oetz and Sölden, in Winklen a nice village near Längenfeld, where you can buy anything, you find restaurants, cafés, banks, a Thermal bath, ski rental oder bicycle rental and a lot of more. Also a doctor and a pharmacy if you need. A special service for you: our „Bäcker-Fahrrad“ (a bicycle that you can - free and in personal responsability - use for going to the bakery)! (only in the summer-months). Or perhaps you want to walk and in 5 minutes you can get your breakfast rolls . In Winter the ski shuttle bus stop 400 m from the house – and bring you to the skiing facilities. In summer the bus have a bike-trailer and bring you to the destination you want. As of december you can free use the "Skiroom" (the door on the side of the house) for keeping your ski and skiboots. Please close the door with key because we assume no liability!